India’s destruction of one of its own satellites was a “terrible thing” as it created about 400 pieces of orbital debris, the chief of the National Aeronautics and Space Administration (Nasa) has said, warning that the risk of debris colliding with the International Space Station (ISS) has risen by 44 per cent since the Indian anti-satellite weapon test. Prime Minister Narendra Modi announced on March 27 that India has achieved a “historic feat” by shooting down its own low-orbit satellite with a ground-to-space missile, making the country a “space power.” Only three other countries — the US, Russia and China — have anti-satellite missile (ASAT) capabilities. Nasa Administrator Jim Bridenstine said about 60 pieces of debris have been tracked so far and out of which 24 are going above the apogee of the ISS, the point of the space station’s orbit farthest from the Earth. “That is a terrible, terrible thing to create an event that sends debris and an apogee that goes above the international space station. That kind of activity is not compatible with the future of human spaceflight that we need to see,” he said at a Nasa townhall with employees on Monday. 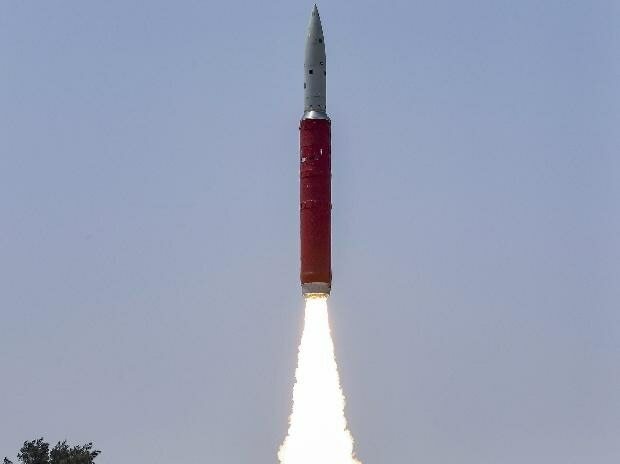 “The Anti-satellite weapons test by India last week has resulted in about 400 pieces of orbital debris,” he said. Bridenstine said not all of the pieces were big enough to track and the Nasa is right now tracking objects which are 10 centimeters or bigger. “Some 60 pieces of orbital debris have been tracked so far, 24 out of which poses risk to the ISS,” he said. Soon after the ASAT test, India said it was done in the lower atmosphere to ensure that there is no space debris. “Whatever debris that is generated will decay and fall back onto the earth within weeks.” By conducting the test, the Ministry of External Affairs in New Delhi said, India was not in violation of any international law or treaty to which it is a party to or any national obligation. A day after India successfully carried out its ASAT test, acting US defence secretary Patrick Shanahan warned that the event could create a “mess” in space but said Washington was still studying the impact. Bridenstine said the Nasa is “learning more and more every hour” that goes by about this orbital debris field that has been created from the anti-satellite test. “Where we were last week with an assessment that comes from Nasa experts as well as the Joint Space Operations Center (part of US Strategic Command).. is that the risk to the International Space Station has increased by 44 per cent,” Bridenstine said. “We are charged with commercialising of low earth orbit. We are charged with enabling more activities in space than we've ever seen before for the purpose of benefiting the human condition, whether it’s pharmaceuticals or printing human organs in 3D to save lives here on earth or manufacturing capabilities in space that you're not able to do in a gravity well,” he said. “All of those are placed at risk when these kinds of events happen,” Bridenstine said as he feared India’s ASAT test could risk proliferation of such activities by other countries.